It never ceases to amaze me how God keeps showing up in so many ways. He certainly did this Christmas. If you all are like me and just now coming up for air, then you may have experienced Him in a special way too. I had everyone here for Christmas, which means 10, under one roof, with four bathrooms, lots of dishes and laundry and trash. Everyone helped, pitched in and did their part as far as cooking, cleaning and preparing the way for all of us to enjoy one another and our time togheter. It was like watching a well oiled machine at work. It was great and the kids were all so sweet telling me to sit this one out, and how they were there to help. I feel like the duties did not fall onto the same people and it took a village to keep the village going and moving forward. Again I prepared the house weeks in advance, changing the table scape and mantle three times. Setting up the little town knowing how cool it looks at night. Trimming the tree and getting the stockings hung and now paired up with husbands added. The old fashioned lights were placed carefully along the roofline and fence and the wreath we won at an auction to help cancer patients was hung carefully on the front door. Nutcrackers adorn and scatter the mantle and candles strategically places to illuminate the mood. But the two pieces of what is set out to bring sprakle to each room far out shown the glitter that was on everything. I pulled out a nativity that I had not used in years. It was one my mother had given me years ago that had a few broken ears and chips that did not seem to take away from its Italian beauty. I love setting each figureine out imagining as a live scene what all those wanting to come and adore our Lord and Savior might be doing or thinking. People seeing from afar and walking up onto the little stable wondering what was happening there. Even kings came to adore, and even a begger crawling by to catch a glimpse of the most precious gift of all, Jesus. The other piece that was a new addition was my advent spiral of Mary on a donkey. Each day I moved the little battery operated tea light, sometimes leaving it on overnight and all day, for each day Mary traveled before His birth. I imagined what her journey must have been like very pregnant, sitting in all kids of weather on the back of a donkey. When I would move the light I would say quietly to myself, one more day Mary, one more day. I can relate to the blessing of one more day as each day brings a new gift with it. The perfect gift. Many questions online are asking that question and even giving people options if they did not get the perfect gift. God's Word says "Every good and perfect gift comes from Him". How did, how do so many miss the good and perfect gift? Simple. I think we make it too complicated, too watered down, too cluttered with elves on shelves and gripped by marketing's make it or break it mentality. God is so simple we need instructions on how to misunderstand Him. If I had done nothing to my house, bought and recieved 0 gifts I would have and did receive a good and perfect gift being with my family. But God is good all the time. He goes beyond what we think we have prepared for ourselves and prepares His way for us. Each step of our way, He prepares for us, to recieve sometimes years later more gifts than we could ever imagine. I will share with you one of mine. Just before Sept. 11th I found out I had another sister by the same father. I did not know much about her, but was interested to know more. Then when 9-11 hit I felt an urgency to find her. I knew at one time she or her mom lived in New York. I even hired a private investigator to try and find her with little success. I let it go. 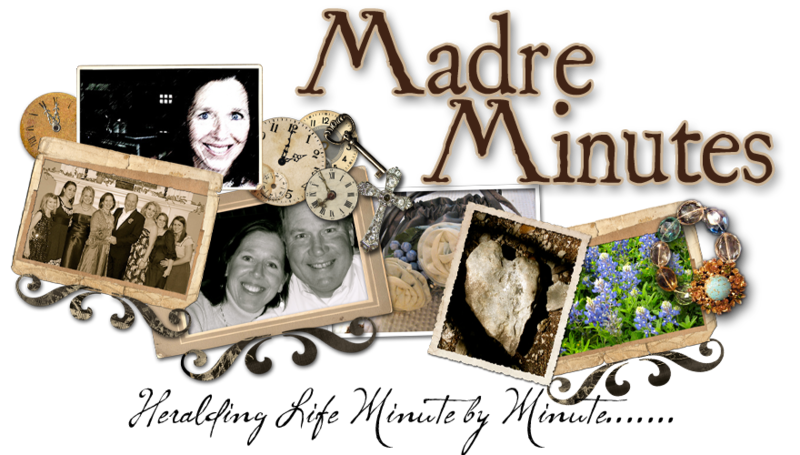 Four years ago I started an online bible study type tv show on MonTv.com called Madre Minutes. It was more of an exploration with my computer than anything else, but as God would have it and could see it beyond what I see, He was preparing the way for His perfect timing. During these years I have been introduced, met and have established some pretty strong ties nad friendships through this adventure. I was asked along with some of those that God selected to be a part of a group of women who would be considered ambassadors to Macy's department store with a campaign at the time for the women of Rwanda and Katrina uniting their efforts to help each group get back on their feet. I was honored and blessed to be asked. Through that experience, I met a woman named Willa Shallit who also was an ambassador for the artists she represents from Africa, and now Haiti. 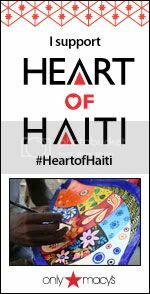 When the earthquake hit in Haiti Macy's department store stepped up again leading the charge to the buzz phrase "the gift that gives back" presenting the beautiful artwork from it's native people through Heart of Haiti. Again I was asked and got involved. Just before Christmas, this year, I thought I would take a stab at finding my sister, going through now what has become a more comfotable medium in social media which really was not available to me when I first found out about her. I looked on Facebook. I found someone that had the potential, so put out the feelers and cast my line. It was her. We both were thrilled that we had connected and began to exchange information confirming the information we both had or the lack of. Come to find out she is a missionary in Haiti and goes there many months each year to help the people there. I will find out more as she is coming to visit me in a few days on her way to Haiti, to get to know one another and establish something that most never have the opportunity to do. In our discovery of and just the tip of the iceburg we found out that she too works with and knows Willa Shallit validating for me (at least) that God's hand was in crossing our path from the beginning. Does that amaze you as much as it does me? 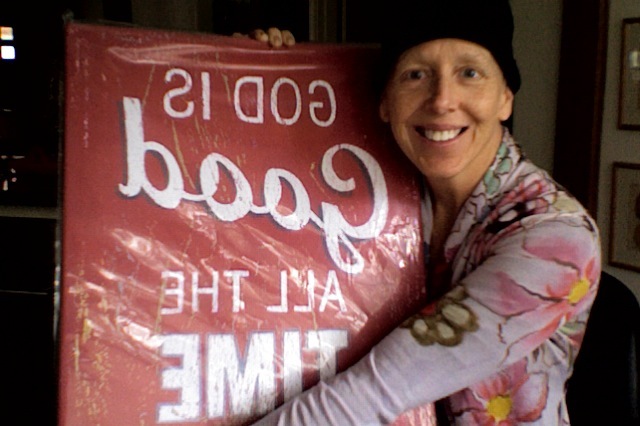 What a gift! A perfect gift from God. I am still amazed when He does things like that in my life and I don't want to miss it. Ever! So this Christmas and New Year, there may be things in our lives that we may not want to look at, that we are curious in finding out more about or that God is revealing to us for such a time as this, to open our eyes to the Glory of God. Soak it in. Soak it all in every minute so as not to miss the perfect gift waiting for you everyday and not just something you might find under a tree. He truly is an amazing God who loves each of us so personally. Happy New and Joy Filled Year! When you think you are in charge.....thank God and think again!